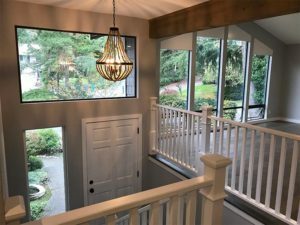 Washington Home Remodeler Serving Sammamish and Surrounding Areas. 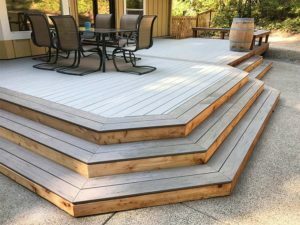 Higgason Construction is a licensed & bonded general contractor located in Sammamish, Washington. Our services are provided in Sammamish, Bellevue, Redmond, Issaquah, Mercer Island, Newcastle, Kirkland, and the surrounding areas. We provide precision results and help with unique designs. If you have an idea for a remodel, a repair, or a home addition, we are here to assist you on your home project. We work on fine and luxury home upgrades, expansions, remodels, and repairs. Contact us today to receive your free home consultation. Why Hire Higgason Construction For Your New Home Remodeling or Home Addition Project? Making decisions can feel so overwhelming, especially when it deals with your home. The home is a resilient and lasting thing. We are here to help complete and repair any project that you have in mind. Tell us what you want – your vision and we can help you identify solutions that fit this vision. We work with customers extensively to be sure we have a proper plan for your remodel. 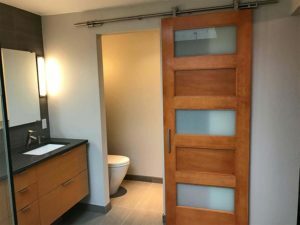 Regardless if you are planning a custom bathroom remodel, a kitchen remodel, a new addition, a structural revision, new millwork, an outdoor kitchen, or a custom deck and patio, we have the expertise to assist you. Our strategy is to communicate and collaborate then create. IDEA TO INNOVATION allows us to be sure we are on the same page with our customers ideas and expectations. This guarantees that all input is shared and construction is made with insight so all your ideas are brought into the final design. "I HIGHLY recommend Shannon and his crew. They finished a bathroom and laundry room for us last month and we are extremely satisfied with the entire process (which if you’ve ever remodeled before you know how rare that is!). Shannon is excellent at communication, often responding within minutes of a text. He has a great attention to detail, competitively priced, and his work is first rate. You can tell how focused he is on his client’s happiness. " "We had a great experience with Shannon and his crew. They transformed our 80s basement bathroom into something we can finally be proud to let guests use. 🙂 Shannon answered our 10,000 questions promptly and patiently, and his crew was especially professional and courteous. The work was perfect! We hope to have him back to update another bathroom next year." "I have hired Shannon multiple times (I think 5 so far) for construction projects around our home. I feel comfortable leaving our key with him and love coming home to see another step of our project complete. His work has always been done to perfection and looks amazing! I highly recommend him to anyone for any project large or small." "Had a great experience with Shannon and would thoroughly recommend. He removed a supporting wall from our ground floor to open up the space; replacing all the walls, flooring and windows in the new room. His attention to detail really sets him apart from other people I’ve used for past projects. 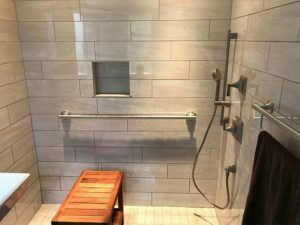 There were a number of custom finishing touches that we added to the space that really helped step it up to the next level." "Shannon at Higgason Construction laid tile flooring in my guest and master bathrooms. I will be recommending him highly to my family and friends! I will be using Higgason Construction again when I remodel the rest of my kitchen. My tile floors look incredible, the work was done quickly and he was a pleasure to communicate with along the way. The results are fantastic. Shannon also kept a very clean work space within my home, which I greatly appreciated!" 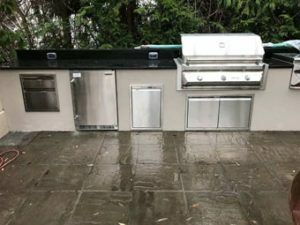 "We had Shannon and his crew perform a full kitchen renovation on our late 80's built house. Shannon advised on all aspects of the design and construction of our new kitchen - including cabinetry and tile. They completely transformed the space into a modern, usable, and beautiful kitchen. Shannon is a rarity among contractors. The thing we really appreciated most about Shannon is his refusal to cut corners or take half measures just to get something done, he always did things the right way. " "Shannon and his team are meticulous with each and every detail, ensuring only the best results with our recent bathroom remodel. Not only was the work top of the line, but I really appreciated how Shannon took his time to explain different aspects of the remodel, was extremely prompt, was flexible with our schedule, provided a trustworthy crew, and left the house as clean as they found it. I am so impressed with how our remodel turned out and cannot wait to use them again for our kitchen!" "We could not be more thrilled with our new home! Shannon and his crew rebuilt our main floor from the ground up! 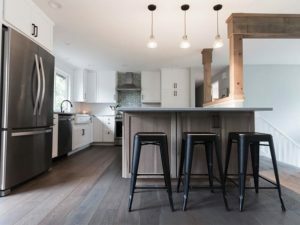 We had been living with our 1979 split level home for 12 years before deciding to take on a major kitchen and great room renovation. We felt fortunate to build a relationship with him along the way filled with trust and respect. Our home looks more beautiful than we could have imagined. We highly recommend Higgason Construction for your next project!" Did you know that the right home additions can add value to your home? Read on to learn about the top 5 home additions that add value.